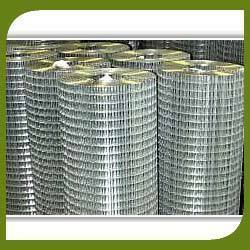 We are widely involved in manufacturing and exporting Steel Welded Wire Mesh. It is appreciated for its perfect welding at each intersection. We use quality stainless steel for manufacturing these products. These are easy to handle and available in different sizes. In order to maintain the industrial standard we use fine quality steels for manufacturing.